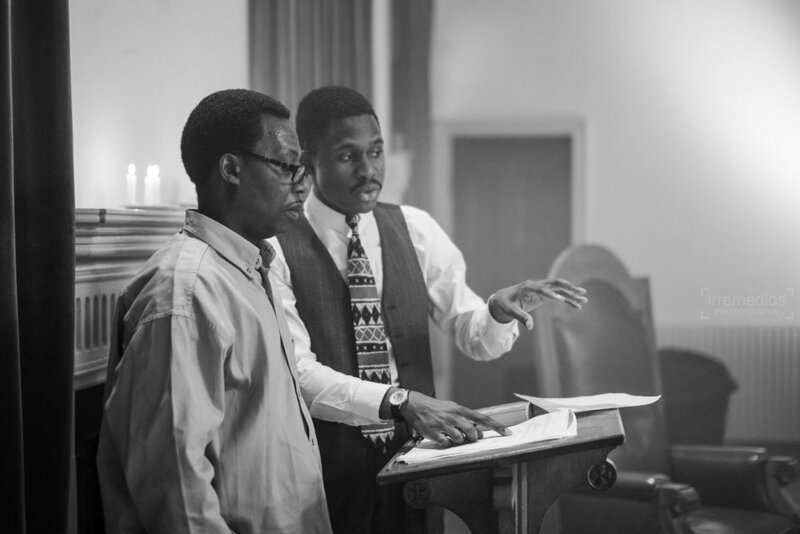 Four years after graduating from Ealing’s MetFilm School, Tomisin Adepeju, a young Nigerian-British filmmaker has had his films shown at over 150 film festivals around the world, including the prestigious Sundance Film Festival. He has just been signed to CAA – the world’s largest talent agency. “I fell in love with film by accident, film was my escape… and my education." “I moved to England when I was 12 years old, I had never been here on holiday and had no idea what to expect. It was a massive culture shock. “I had been comfortable in Nigeria and at the time I didn’t understand why my father uprooted us and moved us here, everything was alien – the weather, the food… everything. “At first it was just me, my mother and my younger brother and sister, my father didn’t join us until later. I felt responsible for my family then, like I was the man of the house in this very strange place. “In Bermondsey there weren’t many Nigerians, and at school the only other black children were black British kids – I felt very different and at 12 years old I desperately wanted to fit in. “I had a strong African accent, and I was severely mocked. I wasn’t happy and began to find solace in film. “University taught me about world cinema but it didn’t teach me how to make films." “With film you can lose yourself for a couple of hours and be somewhere else, somewhere away from your everyday life –I lost myself as often as I could, and, unfortunately I also used film dialogue as a way to lose my African accent. “By the time I was 15, I knew that I wanted to make films, the act of watching films had evolved, I went from just losing myself in the story, to wanting to be the creator of the story. “I did media studies at Shooters Hill 6thForm, and then on to Royal Holloway University to study film theory – I got to watch, study and talk about films from all over the world for three years… it was a wonderful, life-changing experience. “For the next four years I made a few short films, I worked as an Usher usherin West End theatres and I saved enough money so that I could go to MetFilm School and learn how to properly make films. “I did the Masters in Directing at the MetFilm School London campus– it was a very intense year and the best learning experience of my life. At MetFilm it’s all about the craft, the creating and the making – I was making films in my first week! “MetFilm School helped me to find my voice, I had made a few short films in the years while saving up for film school, but I could see they were all over the place – not very good. The lecturers there know their stuff, one of my lecturers was a BAFTA winner, and they are proper working professionals – I learnt so much and most importantly I learnt the craft, tools and skills needed to become a great director. Tomisin’s latest film Appreciation had its World Premiere at the Oscar-Qualifying Pan African Film & Arts Festival in Los Angeles last month. This World Premiere has resulted in Tomisin being signed by The Creative Artists Agency (CAA), which boasts world famous directors such as Martin Scorsese and James Cameron as clients, and, he’s now working on his very first feature film. Based on the short film The Good Son, which Tomisin made while studying at MetFilm, the story draws on Tomisin’s own experiences of race and Nigerian culture. Shooting will begin in August and it will be filmed in Southeast London. Tomisin said: “I want to make a film about a black man that isn’t about gang-culture or crime. I want to explore inter–racial relationships, faith and tell a deeply personal story. “The journey to becoming a film director is a very long one, and although I’ve been on this path for several years, I feel that it is now that things are finally moving in the right direction, there are several exciting things in the works right now that has made the journey worthwhile. “There’s no set path to becoming a director, so you have to work really hard, you have to meet people and you have to hustle. “My parents are great role models; when we first came here, they worked multiple jobs and a lot of hours for my siblings and I, they hustled – hard work was something I grew up with, I was and still am prepared to work hard for what I want.